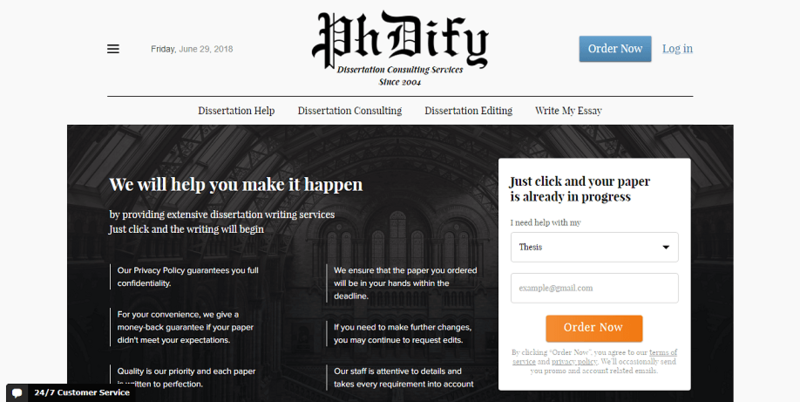 This is the website of PhDify, a service that promises to deliver extensive dissertations to order, with expert writers and proofreaders. But however neat the service is, nobody wants to be trapped by an illegal scam. In this review we explore how safe and legit it is to hold an account with this company. When you sign up for their service, the site looks pretty clean and neat, and easy to navigate. It’s actually really easy to place an order. Which makes it so confusing that when you have an account it gets harder to navigate. Maybe we’re just used to the ease of social media sites, but this seems a bit backwards. When shopping for a dissertation, a discount or promotion code, plus an unclear refund policy, is a pretty bad sign. This quality of work is apparently ensured by free revisions, but the fact they are skirting around their writers’ quality is not a great start. 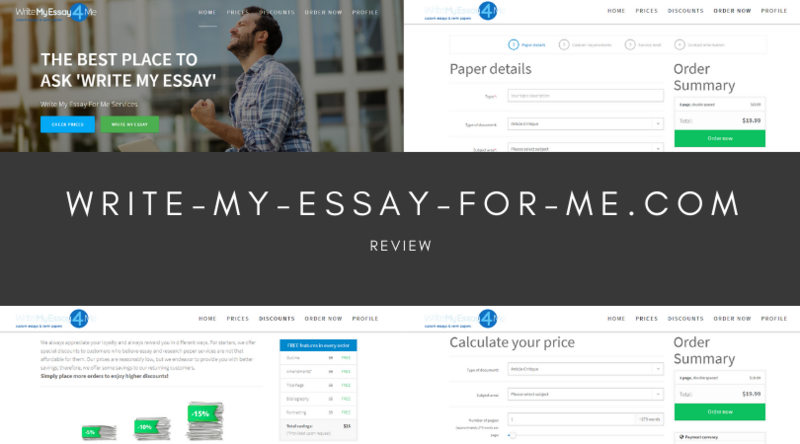 It seems more designed to get you to pay for an essay, and then give up on getting your money back rather than fighting for it. It is hard to find any actual evidence as to the quality of their writers. Especially when their website includes so many mistakes. I’m not sure we can trust a site to provide us with a PhD level dissertation. A great rule of thumb is that if a company cannot proofread its own website, you should not trust them with your academic work. A quick reverse image search also finds that their supposed writers are just stock images, which really reduces credibility further. This again supports the notion that this company is offering cheap dissertations to basically trick you into giving them money, and then you give up because it’s not enough money to be worth a fight. If you need to contact support, their number is not easy to find, but they do offer an email, a contact form, and a physical address, which is in Cyprus. There is no way of contacting the writers. Nobody likes having to login or sign in to talk to customer service, but nobody likes not being able to call them either. 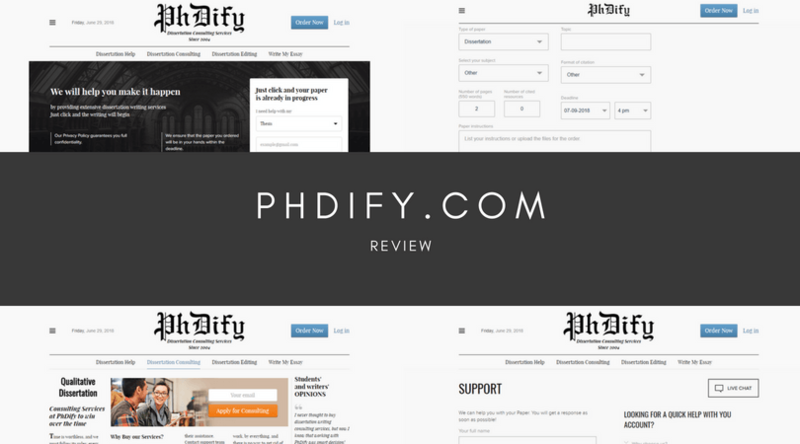 Although Ph Dify might seem legal, that isn’t all it takes to make it worthwhile to create an account. The site can be a bit awkward to navigate, and, when we’re talking about PhD level work, we really need to know that the writers are able to deliver the deal we need. Low prices are a very bad sign, and this site doesn’t exactly inspire confidence when it comes to quality anyway. 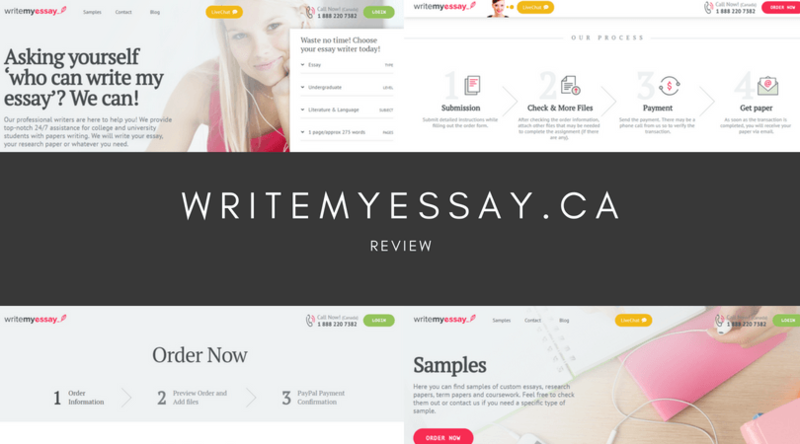 Although it has a Canadian domain, this website is for Write My Essay, a global essay writing service that promises to deliver your order quickly, keep your information safe, and offer reasonable prices. But is this website legal and legit? Or is it a scam? When you sign up, the process is simple, but maybe a bit too much information is shared. Always be wary of giving out too much information when you create an account anywhere, especially in this day and age. The best option is to create an account using as little information as possible and to pay through a secure means, such as a credit card or PayPal. If you’re looking for great prices, this, like many similar services, gives the illusion of a better discount than it offers. 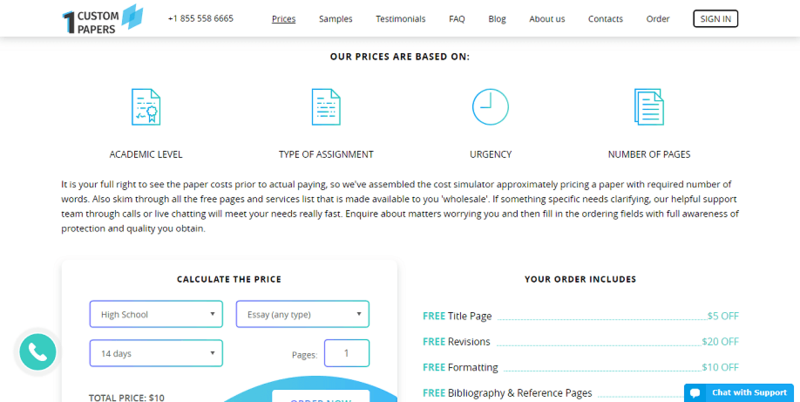 They don’t give detailed information, but basically the price will get you less than 300 words per page, which is a bit of a rip-off with some services offering 300-600 words per page. They do offer a 5-15% off discount, which is a pretty sweet deal. But they also start at 13.73 Canadian dollars. And the reason for the odd price? They actually calculate them in US dollars first, which can get confusing and frustrating if the exchange rate bounces around a bit. Besides that first promotion code, don’t expect any free services, but the bad part is trying to get a refund. Remember that it is entirely at their discretion! They assure us that their writers have previous experience writing professional and at least a bachelors degree, but there isn’t much guarantee of this other than their word. It would be nice if, like some companies do, they let us see what their writers’ credentials are. On the plus side, they guarantee that they pick specific writers for each job, to ensure the quality is what it needs to be. If you need to contact support, their number is prominently displayed on the site and when you login / sign in you can also access other options such as chat, email, etc, more easily. It also has a physical address, which reassures us that the company is legit. They guarantee 24/7 assistance, which is very useful when you’re on a deadline and need to know how everything is going. As you’ve seen in this review, WriteMyEssay isn’t the best service out there. It may not be illegal, but it’s still not the most secure place to have an account, or the cheapest way to get your essay written. And for what you’re paying, it would have to be a masterpiece to be considered a deal. 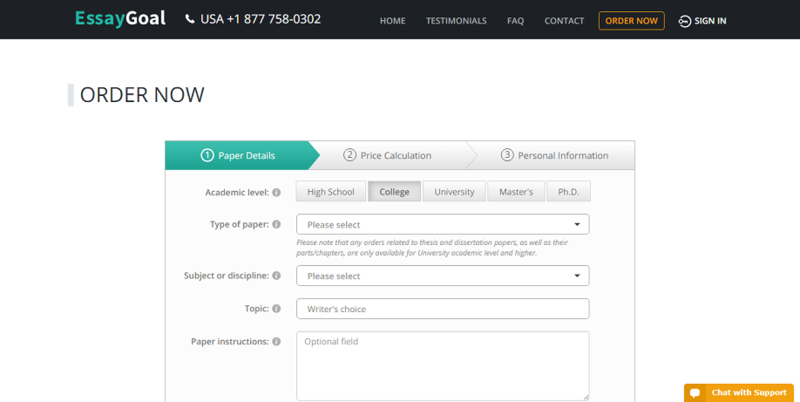 This is the website of the dissertation writing company Dissertation Help. 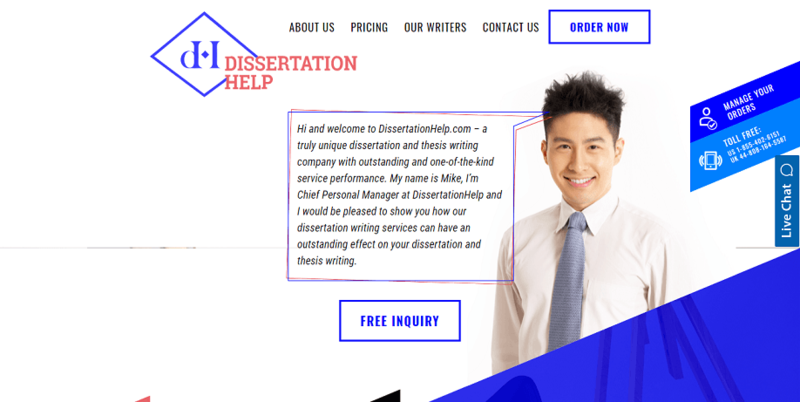 This site promises a truly unique dissertation and thesis with every order, complete with friendly, English-sounding owners and writers and round the clock support. But is it legal and safe, or a scam? In this review we will delve deeper. When you first sign up the website can be a bit of a maze, but it’s not as bad as some others we’ve seen, especially when you get used to it. The look is pretty funky. And the site seems secure, although we have to offer an awful lot of information to sign up. 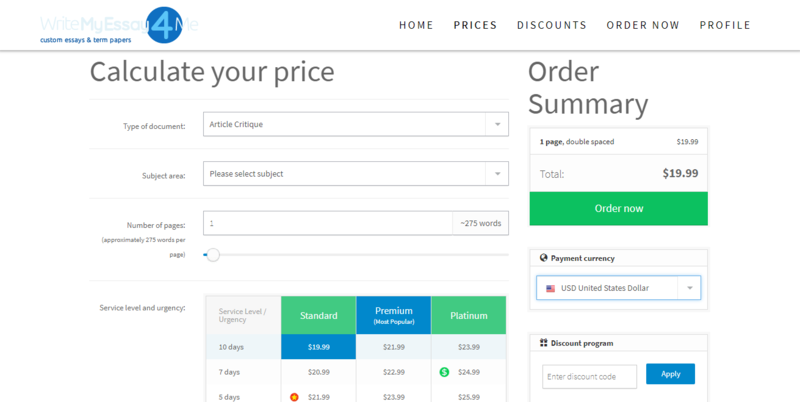 The prices here look a bit steep, with a page costing you as much as $41 for only 275 words! Many other sites offer much better deals on comparably good dissertations, which makes this one really offputting to say the least. But there are no obvious discounts, promotions, or voucher codes visible. Forget about getting any extras for free. What is more, their refund policy is really evasive. It sounds great at first, but then you realize it’s up to them to decide if they should refund you, and they might even suspend your account if you push too much! Of course, you don’t want to get a low quality dissertation, so when you login / sign in, it’s reassuring if you can talk to your writer. Annoyingly, here you can only speak to their customer service reps, which is disappointing. It basically means all your information goes through up to four people before getting back to you! A legit site always has ways of getting in contact with support. They offer a toll-free phone number for the USA and the UK, which is great, a home address, an email, and a live chat. These services are available almost all week long, which is great, but remember that they can take a while to answer. If you’re relying on speedy customer service responses to get you sorted, then you might miss out here. 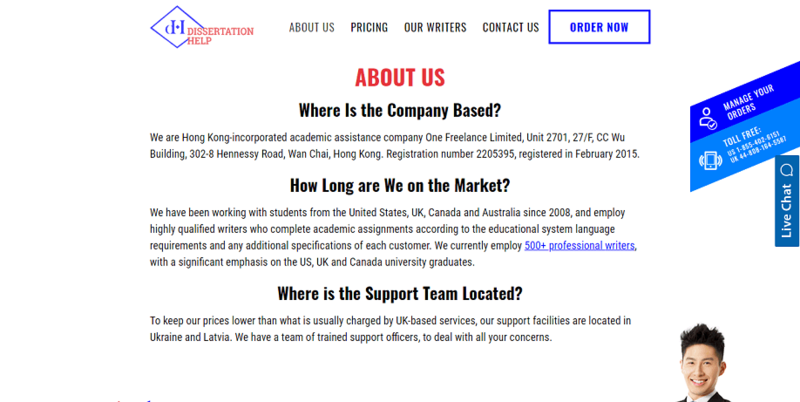 What is more, even though the company is based in Hong Kong and selling to people speaking English, their customer service support team is based in Eastern Europe, which could make it hard to work out where your dissertation is coming from. In summary, DissertationHelp, like many similar companies, tries to lure you in with their prices, a loose refund policy, and guarantees of originality. But even though it may not be an illegal service, this doesn’t make it a great service. You’d be better suited taking your order to a more reputable company. 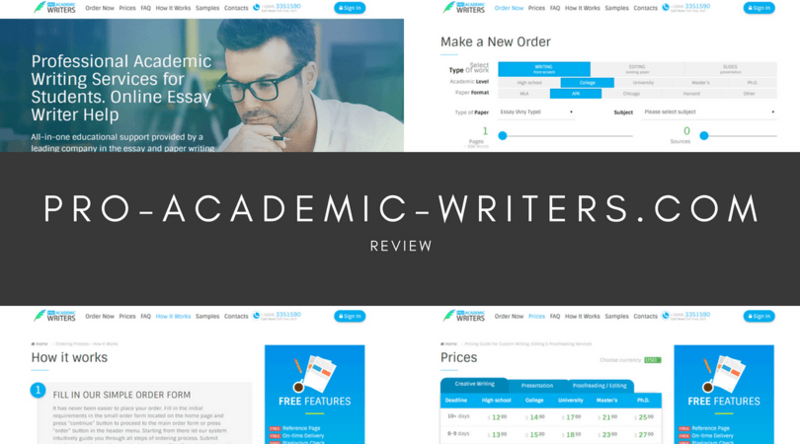 This is the website from where the company Pro-Academic-Writers promises to deliver professional academic writing services. But is the website legit? Is it legal, and safe? And are there enough deals and perks to make this worthwhile? In this review we will explore the pros and cons of ordering from this service. 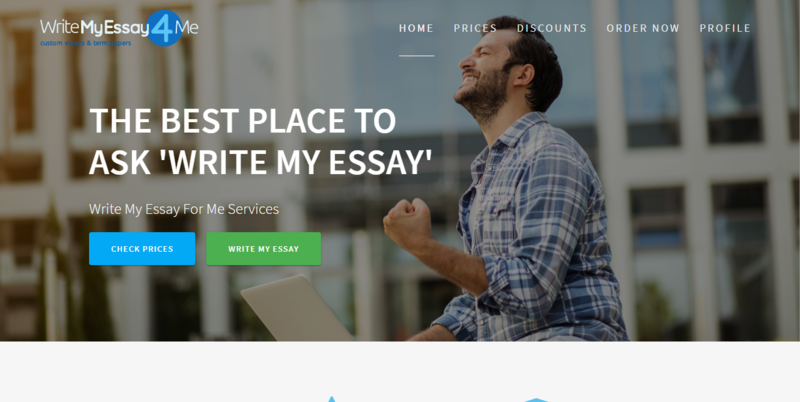 The website promises to fulfill all your academic writing needs, from simple essay writing to proofreading, theses, and question responses. Although when you first sign up and create an account it can be a bit awkward to navigate, you will find your way around the website fairly easily. It isn’t insanely modern looking either, but it works. After a while you get used to it, and when you login / sign in you will know where to go. The prices are presented right away on the page via a price calculator. Starting at around fifteen dollars a page, the prices spike from there, and there are not many promotion or offer codes available, sadly. They don’t even guarantee free revisions. It might be OK if you don’t need anything urgently, or a lot of work doing, but otherwise it can get expensive pretty fast. They offer discounts for return customers, but that isn’t really useful to newcomers. The content here isn’t too bad. The writers seem to know what they are doing, even though they do not guarantee that the writer will have a degree or be a native speaker of English. The problem here is they do not let you actually get to know your writer properly, or even talk directly to them, so you never actually know who is working on your essay. It could be a professional, or it could just be some random person. Not inspiring. Customer service is much more open than on many other websites offering similar details. You can contact them via phone number, email, postal address, or live web chat, all of which are offered as 24/7 options. However it can be pretty difficult to actually get through 24/7, and their representatives can’t always help you, as so much of the work lies with the writers. This can make it a bit of a frustrating experience if you need to rush your order, or make an edit in a short space of time. In conclusion, Pro Academic Writers is not a scam, or illegal, but that doesn’t make it a great website. All round, it’s pretty average. There are many better options out there if you want a great deal, a safe option to order from, or great customer support, and many, many cheaper options out there as well. 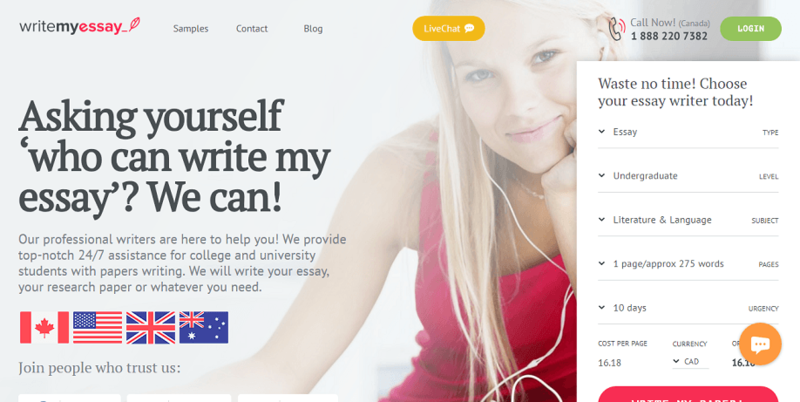 This is the website for the essay writing service Tutoriage. 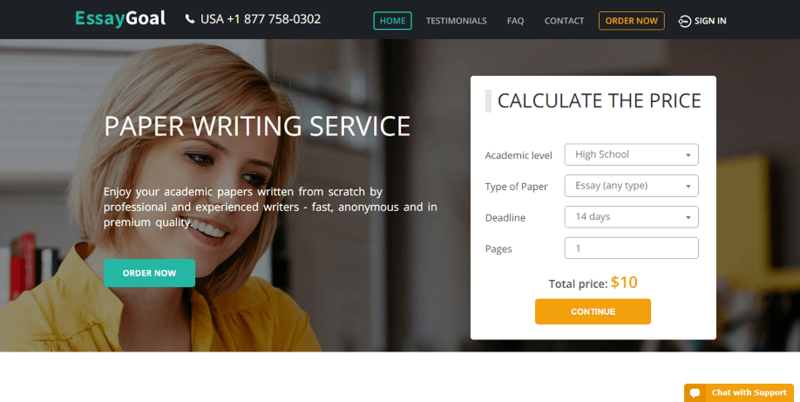 They claim to provide writers with Ph.D. degrees, who are available for real time communication to ensure you get all your work done exactly the way you need it. In this review we will see how well they meet those claims. They promise completely original work, which is great, but they also promise a standard of work that, looking at the website, we’re not confident they could actually deliver. They also keep changing their story about what the minimum qualification their writers have is, which is suspect. The website also requires a lot of information, that may not be safe. Tutoriage.com charges a higher price for its work, but the upside is that you only pay for work that has been completed. Not paying in advance is great, but remember you can’t just do a runner. Not only is that illegal, but the account you create when you sign up records your details and you may be unable to sign in or login on any other account in the future too. You have to sign up to get an estimate, which is a bit annoying, and there are no deals or offers that we can see, never mind any codes. And they want to guarantee you a refund, but they will try and fix your work first. Which is nice in a way, but also annoying if you just want to get on with stuff and order somewhere else. At least they don’t actually have your money, though. They promise that their writers are all Ph.D. holders and rank them as though they were some of the best writers available globally. But a little research shows this isn’t legit. These writers don’t appear anywhere else on the internet and, honestly, some tumblr blogs have more reviews and complete jobs than their “number one” writer. It might be legal to lie on your own website, but that’s some shady business there. Especially when their own website is not properly proofread. They also make their writers bid for your work, which isn’t exactly the way you want to organize this. Sure, it’s nice to talk to them and have their support, but choosing the writer should be the job of the company that knows them best, not of the client. If you need to get in contact with support, they offer live chat, a 24/ phone number, and an email. They also have their writers email posted publicly, which is a little weird, but not wrong exactly. 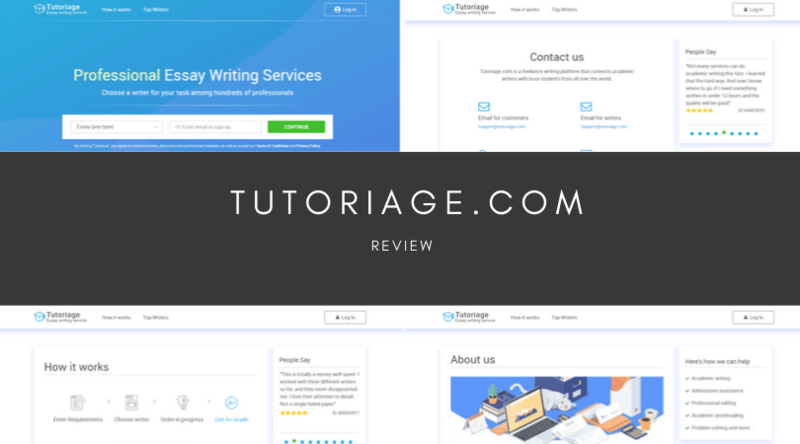 Although Tutoriage aims to provide you with great work, fast delivery on each order, and plenty of kinds of deal and promotion, the reality is that they just don’t have the quality to match. Some of their claims are totally unfounded and it’s hard to trust them after discovering that. 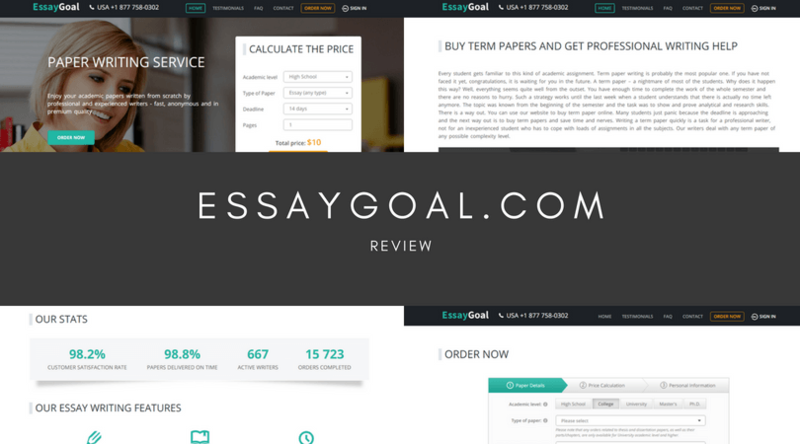 Write-My-Essay-For-Me does exactly that: this website promises to write your essays to order. Simply sign up, sign in, and explain what sort of essay you want. Then see the prices, apply any discount or promotion code, and wait for your essay. But is it that simple? And what is the quality like? In this review we will see how legit this site really is. Naturally, you want to make sure your account is safe every time you log in. This website is highly encrypted, so whether you want to pay via card or PayPal, your money is safe. Although not illegal, everyone wants some confidentiality when ordering an essay online. The website promises 100% security. They will not communicate with anyone other than you about your order, offering peace of mind. Of course, with a website like this there is always a risk, but they at least aim to reduce it. The prices here are very transparent. They have a price calculator and the cost starts at a mere $12 per page, which is great for an essay. However the price doesn’t decrease per individual page, so it adds up quite a lot more than some services, that do not charge the same amount for each page. If you need a deal, they offer a discount of 5% off 15+ pages, 10% off 51+ pages, and 15% off 100+ pages. Besides that, they do a number of things for free that other sites charge for, such as the bibliography, formatting, and amendments. If you need a refund, don’t get your hopes up. The website says they have never had a single dissatisfied customer. If you’ve ever worked in retail, you know this is impossible. People complain. Not only that, but your refund period is 3 days after your order is completed. Their writers are not guaranteed to have degrees, be native speakers of English, or, well, anything. All they promise is that they are professionals. Plagiarism is not legal, and it’s good to know that this service checks all documents to ensure they are original. But besides that, no guarantees about quality. If you need to contact support they offer live chat, although that doesn’t mean you can reach someone 24/7. However they are always eager to help when you get to them, which is nice. 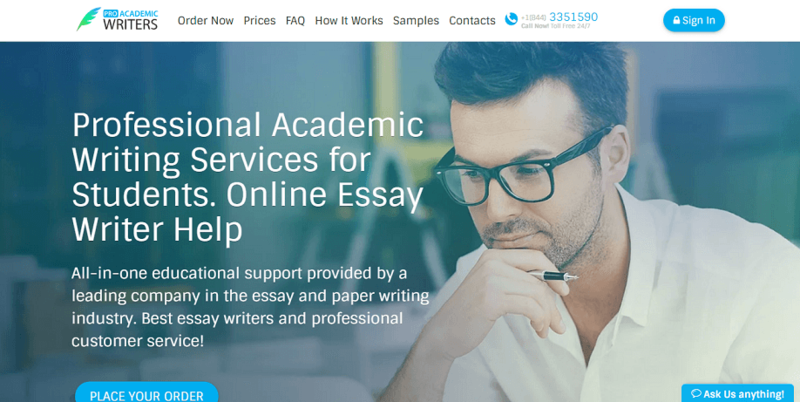 Write My Essay For Me is not the worst service available, but that doesn’t make it your best option either. They offer a relatively cheap service with a cheerful disposition, but this doesn’t make up for their lack of guarantees about quality or refunds. 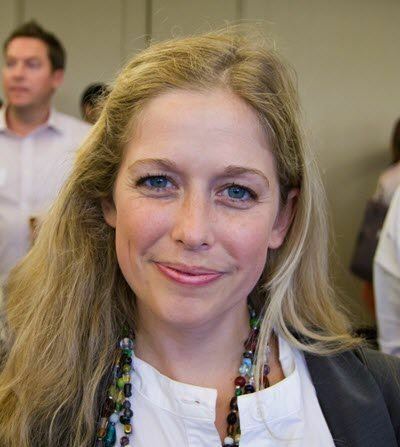 You want to choose another essay writing service if you want true quality. 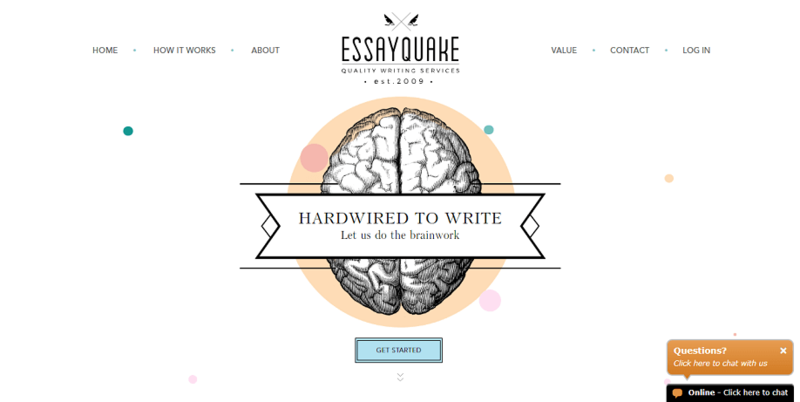 EssayQuake is a writing service that promises high quality essays on very short deadlines. But when we are looking for a great essay writing service, can such quality really be delivered in so little time? In this review we will explore their promises and see if they can be met. Established in 2009, this website has to be doing something right to keep getting people to sign up and create an account. Or they could just make you create an account to even get an estimate. The website tries to be attractive and modern, but it’s hard to navigate. When you long in /sign in, you need to make an account to see what they will charge for your essay. The website is pretty convoluted to navigate to boot, and all in all you might be put off just by the amount of information needed for the sign up process. 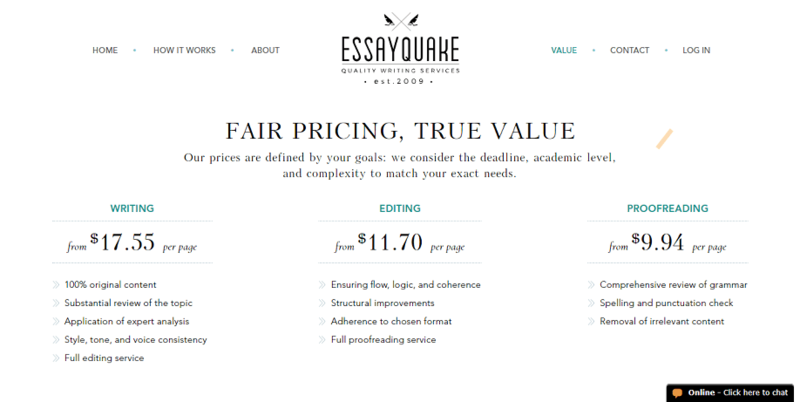 The prices at EssayQuake.com are pretty high, starting at $17.55 per page and only increasing from there! What is more, unlike some websites that offer an estimate via a calculator, this site requires a full sign up to get a detailed estimate. So they’ll have your details either way. 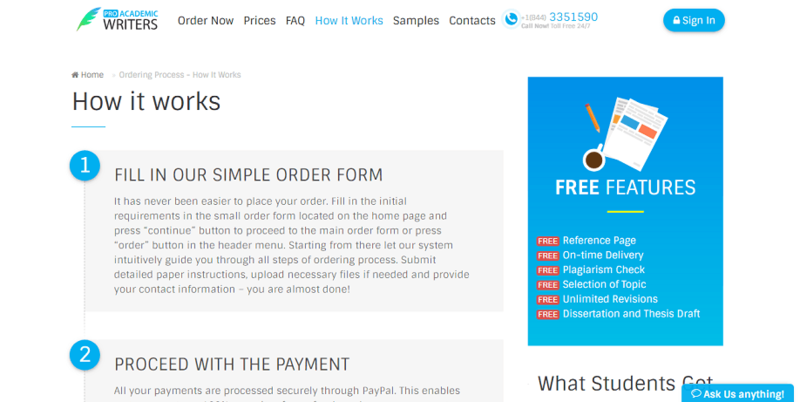 Though at least not your bank details: all payments are securely made through PayPal. If you are looking for a discount, promotion, or any sort of deal code when you order, then you’re out of luck. Although, on the plus side, for huge orders or orders with a long date they let you pay by instalment. If you need a refund, then be careful. Nothing is guaranteed, and they aren’t about to give anything away for free, regardless of quality. The writers here hold advanced degrees, but the website doesn’t claim they all hold degrees, which is a bit of a red flag. And the fact that this website encourages writers to compete for work, and advertises writing a page to perfection in a single hour, is not great. I am not sure I would trust this site to produce that sort of quality from such an environment. On the plus side, they make sure to fully encrypt your data and offer a plagiarism report, so at least you know you’re getting original work. If you order from them you will likely need to carefully proofread it and ensure it’s accurate, though, because there is no grade guarantee. And considering they misspell the word “institutions” as “instituttions” on the page promising great international writing standards… Well, let’s just say that’s not promising. If you need support, most of it will be going through the writer directly. This has its upsides, as you can talk to your writer about the work they are doing, but it also means the website is not as easy to get a hold of or hold accountable. Their contact number is available 24/7, which is nice, but the hold can be long. 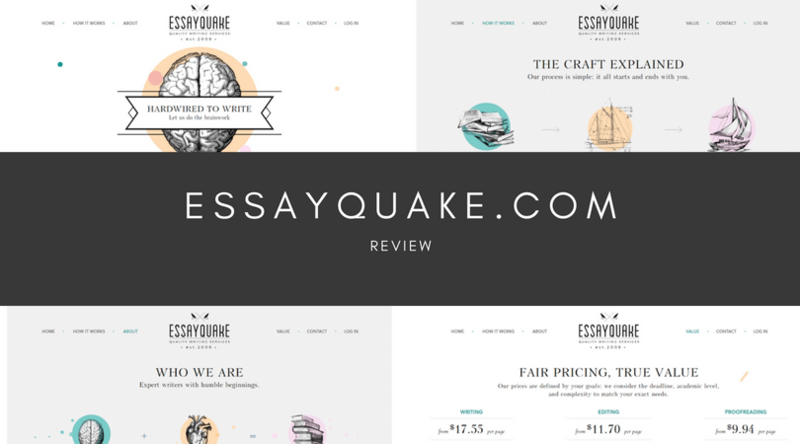 Essay Quake doesn’t look like a scam, which is good to know. But legal doesn’t mean safe, or worthwhile. Other than being a genuine website, it really doesn’t meet expectations. The quality of customer support, the essays written, and the general service is not worth the money or effort. 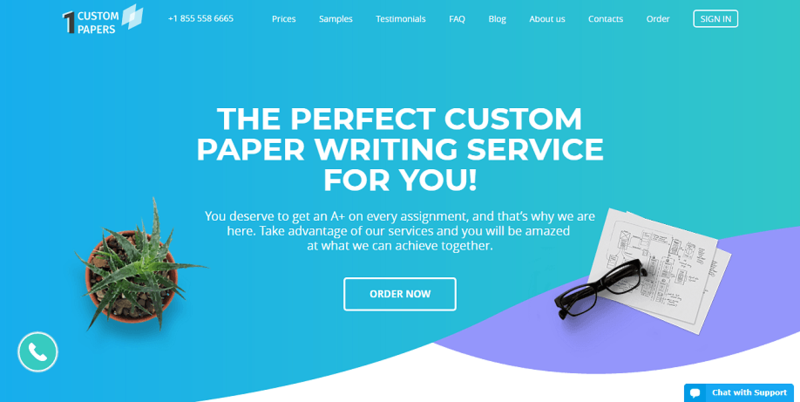 This is the website of the 1 Custom Papers essay writing service. They promise quality papers at very low prices, for all subjects at all levels. In this review we will see if they deliver what they promise. 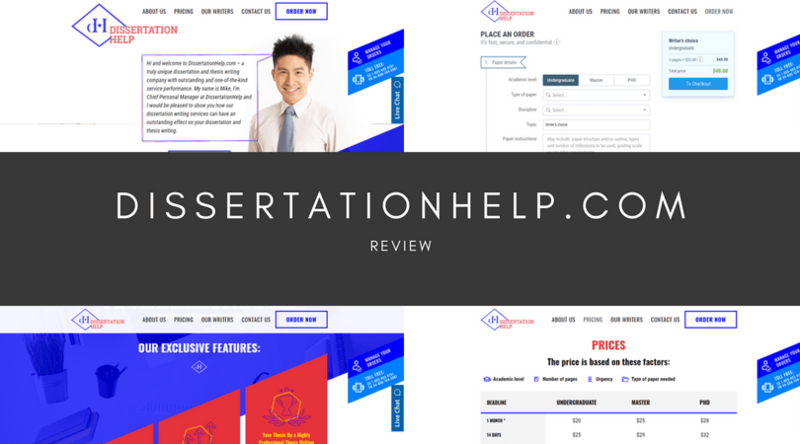 This website offers all sorts of services for all subjects, from simple revisions to full dissertations, provided you give them enough time. Although these services are legal, just because they aren’t illegal doesn’t mean you shouldn’t protect your information. Never disclose your login / sign in details to people in real life, nor real life details on the website. As long as you do this, your details are safe here. The prices per page start around $10, but scales up depending on what level you’re at. On the upside the prices are fixed, but on the downside they scale quite sharply for higher education. If you are a discount, deal, and promotion fan, they usually have a code running for new customers. When you sign up, create an account, and place your order, you can find a coupon code that you can use for a price reduction. If you want a refund, they have a moneyback warranty that accounts for all situations. Unlike some scam sites that take your money and guarantee nothing, this website offers a full, free refund if they cannot find the right writer, meet your deadline, etc. And they offer a partial refund for smaller complaints. But in real life you need to prove that you need a refund, and it might not be that easy to do as 1CustomPapers.com doesn’t want to give you your money back once you paid them. Bear in mind that a number of things, such as extras and VAT, cannot be refunded. Plus, it can take up to 10 business days to get a refund, which can be annoying if you need the money for a new order. They boast that their writers will get you an A+ on every assignment, however, unlike some other services, they do not promise degree-holding writers. Their writers are native speakers of English by default, but your order can be done by ESL speakers as they work there too. However experienced the writers are, though, if they have not studied your subject to degree level, you may be put off. The work is guaranteed to be plagiarism-free, and if it is not up to standard you can get a full refund. If you need to get in contact with customer support providers, they offer all sorts of ways of connecting with them 24/7: phone, live chat, email, and even a physical office. This adds to the sense of security we have in the company. However instant response is not always guaranteed, sadly. 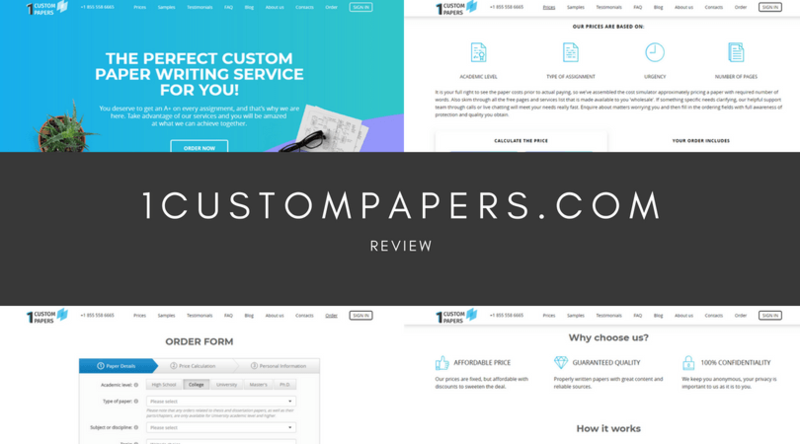 1CustomPapers is a legit website, however their writers are not all people we would want to trust in. Unfortunately missed deadlines, bad quality and neglected guidelines are reported to be found in their work. This website promises to deliver high quality academic work, even at short notice, with plenty of extras thrown into the deal. 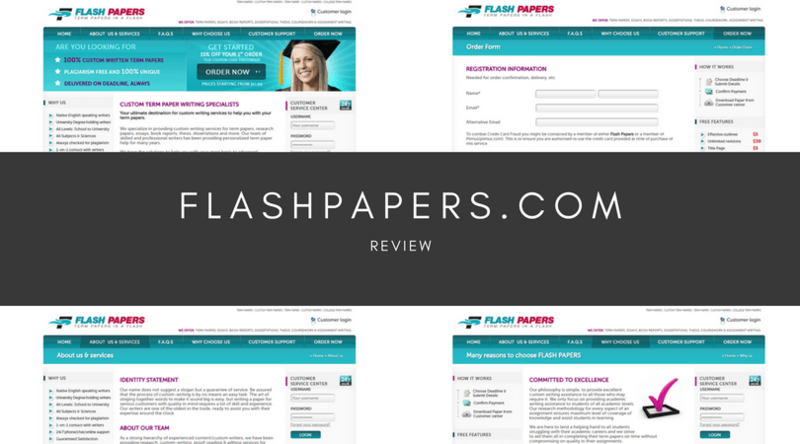 In this review we will explore how well FlashPapers live up to these promises. When you sign up and create an account with Flash Papers you will be receiving a closer experience than just a passive order. They keep you in contact with your writers, so that you can talk directly to the person or people working on your order. This is different from many other websites, that offer no contact with your writer. That said, this can of course put you at slightly greater risk of your confidentiality being broken. However low the risk of being identified is, it’s important to not discuss personal details with your writer. The prices are a bit on the high side, presumably because they earn money that could be spent on support by keeping writers in contact with clients. Also, FlashPapers.com does not offer any discount or promotion code. On the plus side, loads of the features that other services charge extra for are free on this service, which will save you lots of money even without extra discounts. If the work is awful, it is free: they have a refund guarantee. So don’t be put off by their prices: they are so confident in their writers that they promise a full refund if anything is not as you expected it to be. Read their refund policy for me. But online reviews say that they don’t provide refunds that easily and often refuse to give it at all. 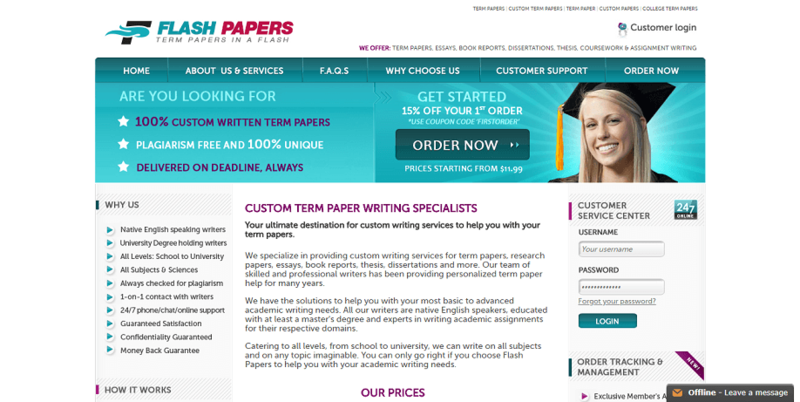 FlashPapers cover all subjects, including mathematics and sciences, and their writers are from all over the world and hold degrees in the subject you are ordering. Being able to talk with them could also help you with your work later on, as you will better understand the end product they deliver. Plagiarism isn’t just about getting a legit original paper. It’s also about not getting an illegal copyrighted work! They promise 100% authentic papers, which will not only get you great grades, but make sure what you deliver is legal. Unfortunately their customers reported some cases of plagiarism and missed deadlines. 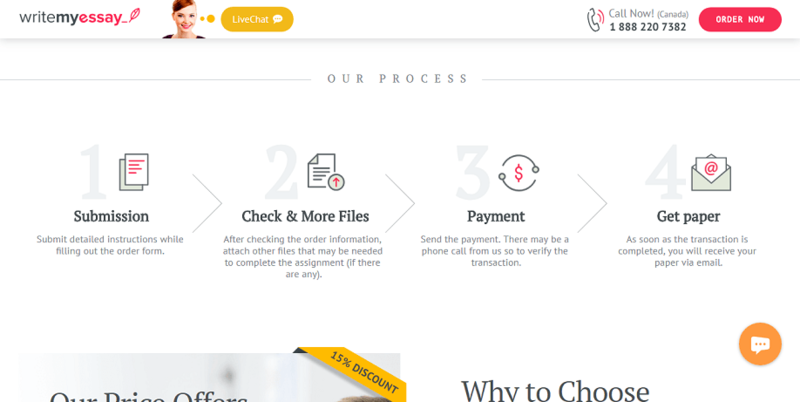 Customer service comes in live chat, online, and phone number formats, and they are available 24/7 on all three. Not only that, but you can talk to your writer directly, so if your question is for them, you don’t need to wait for the third party to get back to you. Whoever you talk to, our sign in / login details will always be kept private. 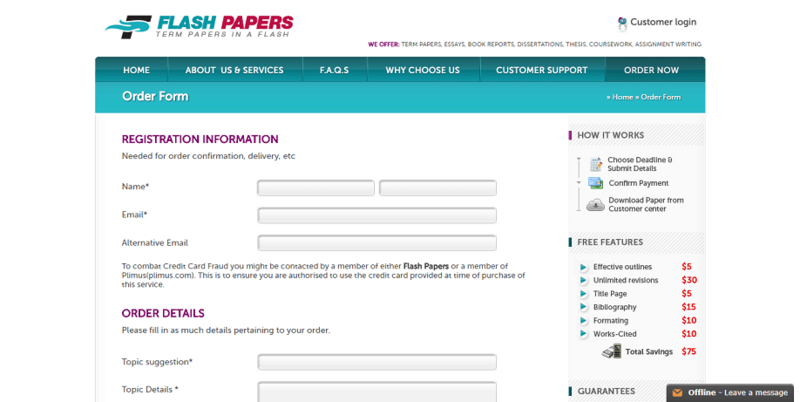 Far from a scam, Flash Papers provide an average service at a slightly high price. Although there are better out there, it is not one of the worst sites either.